The table was oval with a marble top and a dark wood center support that split into feet. You’ve probably seen tables like it in home decorating magazines. Most people, these days, paint the wood white. On top is where the African violets lived, center stage in the living room, right in front of the picture window. In my entire life, I never saw that window without draperies, or at least sheer curtains to filter the light, and I have vague recollections of it being covered in sheets of plastic during the winter – but I might be remembering wrong. 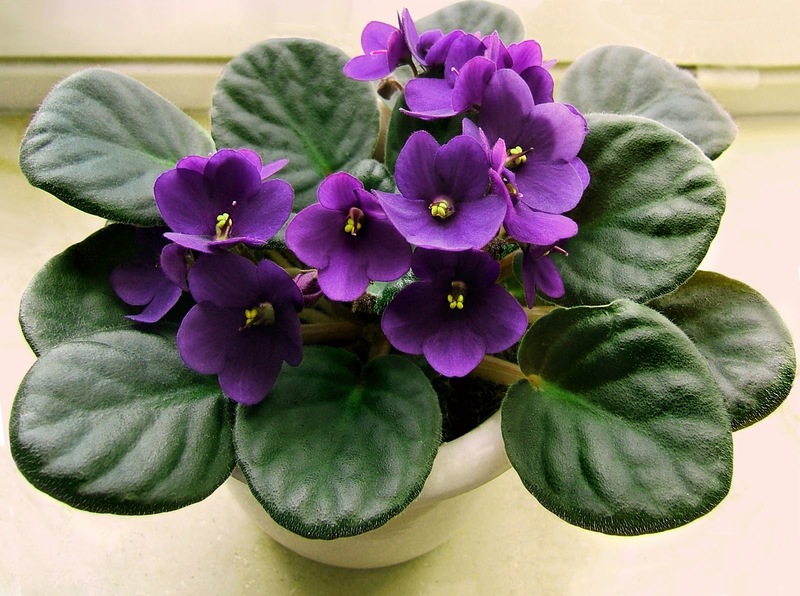 The violets, though, the African violets, are indelibly drawn in my brain and my heart. The deep purple flowers may have been dainty, but my grandmother kept them alive through year after year, and while they may have begun merely as flowers to her, and to all of us, they became a universal constant. Through grief and loss, through joy and delight, in summer and winter, heat, humidity, rain, snow, and ice, those flowers kept blooming under my grandmother’s tender care. “Oh, you’ve got a mad on.” when I was in a snit. “I need a little something,” when she was Jonesing for a cookie and afternoon coffee. And at some point, in my head, the purple flowers became not just something my grandmother loved, but something that represented her presence, even after she was no longer living on this Earth. Most people don’t realize that violets have a kind of tease built into their scent. When you first smell them, they actually numb your olfactory senses, so instead of a continuous flow of their earthy-sweet aroma, you get little bursts of perfume. Knowing this, I think I can be forgiven if, when I wake in the middle of the night to a sky so dark it may as well be purple, I feel like I can catch the faintest wisp of my grandmother’s presence, feel the echo of her cool hand against my forehead, hear the ghost of her sing-songing greetings to her violets. Lula-Baby is a folk lullaby, attribution unknown, though Paul Robeson did record a song with similar lyrics (“My Curly-Headed Baby” – there are LOTS of different versions. DDOP-1605 – Purple by Melissa Bartell is licensed under a Creative Commons Attribution-NonCommercial-ShareAlike 4.0 International License.